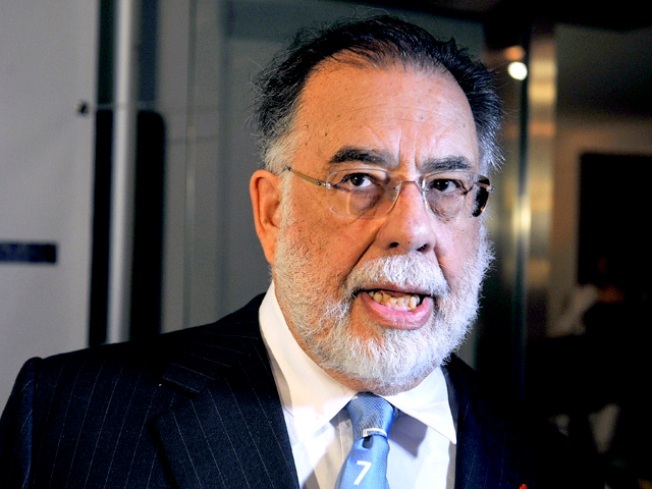 Francis Ford Coppola loves the smell of a breakfast burrito in the morning. It's no mystery that portly auteur Francis Ford Coppola loves him some food, but his latest restaurant might prove hard to find. Nestled into an Napa County office park, Mammarella's is a casual Italian-American eatery that can at least boast better reviews than, say, Godfather III. Apparently Coppola was tired of eating at Jonesy's, so he opened a restaurant near his office headquarters. The name of the restaurant is taken from the nickname for Coppola's grandmother, and also adorns his company's brand of bottled tomato sauce and dry pasta. The place is the third restaurant from Coppola, including the Zoetrope Cafe in San Francisco's North Beach. Mammarella's reportedly managed to save some money by repurposing furniture from Cafe Rosso and Bianco, a Coppola cafe in Palo Alto that closed last year. Based on the menu, which Coppola drew up, it doesn't look like anybody will be going wildly over budget. But if you get as lost as the cast and crew on Apocalypse Now, look for Coppola presiding Kurtz-like under a red awning towards the back of the parking lot. Jackson West will never forgive Francis for selling canned champagne.